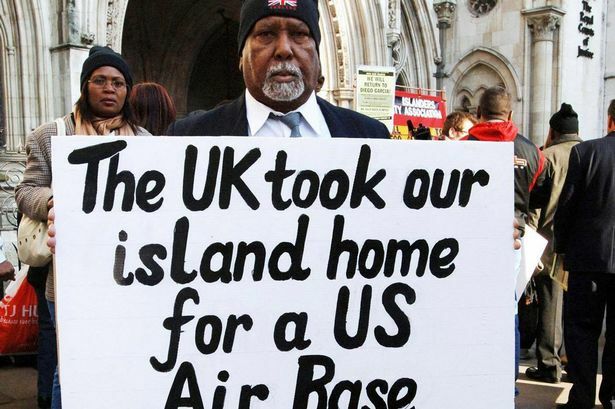 Linda Browne joins JiC for this fascinating guest-post on the fight of the people of the Chagos Islands to achieve justice and take back their homeland. Linda is currently a Masters student in Understanding and Securing Human Rights at the Institute of Commonwealth Studies, University of London. We are all aware of the violent political conflicts around the world, of the atrocities committed during these conflicts, of Western interference, or lack thereof. But what of the indirect impacts of these conflicts, especially the communities devastated to enable such interventions? Communities such as the Chagos Islanders were displaced from their homeland of Diego Garcia by the British to facilitate the development of the US’s largest military base, the base from which the US would launch almost every military attack in the Iraq / Afghanistan conflict some 30 – 40 years later. Mauritius is currently challenging UK sovereignty of the Chagos Islands in the permanent court of arbitration (PCA), a UN tribunal whose decisions are binding. This is an important case challenging the legality of the Marine Protected Area (MPA) around Chagos created by the UK in 2010. The legal proceedings could, in turn, challenge the UK’s sovereignty of the area and therefore the American government’s lease of it. Although most people have never heard of this community – or even this military base – the Chagos Islands case tells us as much, if not more, about the true nature of US / UK foreign policy than do studies of the actual conflicts themselves: the blatant violation of human rights, ruthless disregard of weaker communities in pursuit of strategic power, and the astonishing manipulation of facts to keep the truth from being uncovered. Diego Garcia is the largest of the Chagos Archipelago islands in the Indian Ocean. They were settled by the UK / US governmentsas strategic outposts to contain the threat of communism during the Cold War. The British government bargained for the islands during Independence talks with Mauritius and annexed them as a new British colony (BIOT) in 1965, a measure in direct contravention of UNGA Declaration 1514 (XV) which emphasized that preservation of the territorial integrity of dependent states was to be ensured during de-colonization. The plan to create this new British colony and then lease it to the US as a military base was done without the consent or knowledge of either the British Parliament or the US Congress. It was achieved by invoking the Order in Council, an archaic law allowing the British Monarch to override Parliament. For the British government it was a perfect solution, inasmuch as they retained influence in the Indian Ocean while the US carried the military and financial costs. The one serious impediment to this plan was the Archipelago’s almost 2,000 inhabitants, an indigenous population with established schools, full employment on the the island’s plantations, and a subsistence economy topped up by supplies of staples shipped regularly from Mauritius and the Seychelles. Article 73 of the UN Charter makes clear that the interests of such inhabitants are to be ‘paramount,’ with the promotion of their well-being held as a sacred trust by the relevant colonial power. To circumvent this issue, the UK deliberately concealed the indigenous status of the inhabitants, categorizing them as contract labourers instead. Colonial history is replete with acts of atrocity against indigenous peoples. Yet the case of Chagos Islands has been described as one of Britain’s “most shameful episodes”. Arguably, the real shame is with the UK / US government’s continuing deception and refusal to grant an effective remedy. Details of the Chagossian’s treatment gained credence after the UK foreign office was legally ordered to release files from the period in 2012. Previously, the government had continued the charade of arguing that the Islanders were not indigenous but rather ‘contract labourers’. 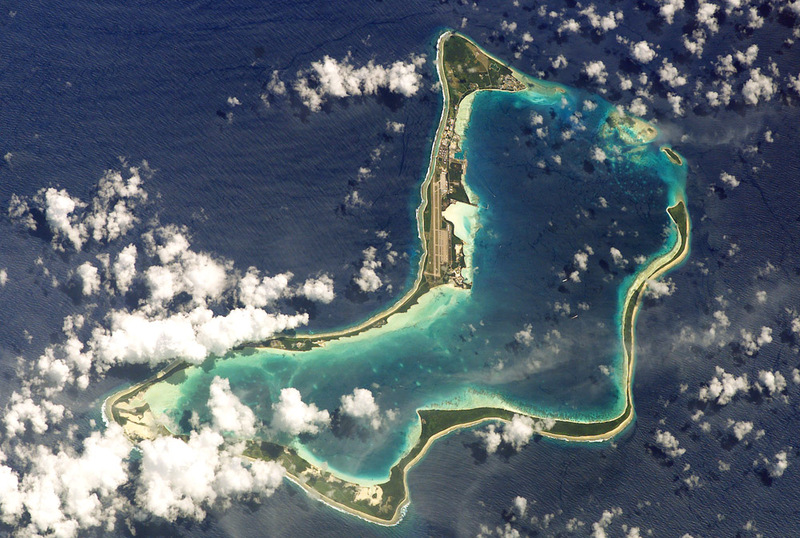 At every turn, the Chagossians have been thwarted by powerful bureaucracies.In 2000, the Chagossians had their claims of right to return upheld in the UK courts but this was overturned when the government again invoked the Order in Council in 2004 – on general election day so that no-one knew it had even happened! The Orders were successfully challenged in 2006/7 with the Court of Appeal stating it was an abuse of power, but when the claims were finally rejected in the House of Lords in 2008, the House of Lords decided it was a political, rather than a legal matter. The case also went to the European Court of Human Rights (ECtHR), citing several violations of human rights under the European Convention on Human Rights (ECHR). But that claim was rejected in December 2012. Again the cited violations were not addressed and were rejected on technical grounds. The Court declared the Chagossian’s application to the ECtHR inadmissible. Jurisdictional issues were raised and the Court ruled that the ECHR did not apply to the British Colony. Furthermore, with the 1982 compensation, it was claimed the Islanders effectively renounced their ability to bring human rights violations before the Court. Examination of the displacement of the Chagossians and their subsequently failed legal battles raises questions of what constitutes justice within our international human rights legal system. While the ECtHR rulings were undoubtedly legal, can it be said justice has been served? Arguably by focusing on procedural issues, the Court failed to further the substantive law on indigenous rights – and failed the Chagossians in the process. Two avenues remain for the Chagossians: one is the aforementioned case before the UN’s Permanent Court of Arbitration. The other is a recently UK-ordered feasibility study into potential resettlement. The controversial Marine Protect Area is central to both: its legality in the former; and its impact on the ability of the Chagossians to inhabit the islands and lead their subsistence-based lifestyle in the latter. Ostensibly established in 2010 with conservation in mind, leaked US Embassy cables revealed the true agenda by asserting “that establishing a marine park would, in effect, put paid to resettlement claims of the archipelago’s former residents” – astonishing evidence of the chasm between public and private policy! Is it mere coincidence that a resettlement policy is being considered as the UN tribunal gets underway, a tribunal that may examine the very foundation of the UK’s sovereignty of the BIOT (that pesky UNGA Declaration 1514 (XV) contravention!). While strategic military considerations are obviously vital in this conflict-ridden world, human rights should not be automatically subverted to them. Hopefully the UN tribunal will provide an avenue for the Chagossian’s to obtain an effective remedy. Whilst the feasibility study is commendable, such a resettlement policy would be an act of benevolence, not rights-based justice. And benevolence can always be withdrawn. This entry was posted in Chagos Islands, Guest Posts, Justice, United Kingdom, United Nations. Bookmark the permalink.